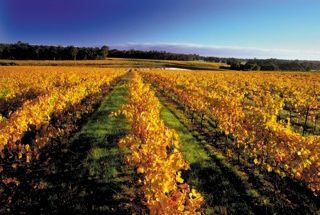 The vineyard is situated roughly halfway between Margaret River and Busselton, 5 km east of the Wilyabrup Valley and 10 km from the Indian Ocean. This proximity to the ocean provides a moderating effect on our climate, reducing temperature extremes and ensuring secure water provision. The vineyard is moderately undulating and contains a mixture of alluvial loam soils, which occur in the 2 old creek lines on the property, specifically gravelly loam (Forest Grove soil) on sloping areas and Mungite soils located on the flat laterite ridges. Vine rows are generally oriented north/south to balance sun exposure. The site comprises 59 hectares planted with the finest local wines including Cabernet Sauvignon, Shiraz, Merlot, Petit Verdot, Malbec, Chardonnay, Semillon and Sauvignon Blanc. Extensive subsoil drainage has been used in some previously poorly drained areas of the vineyard with great success and straw mulch has been applied on some sandy areas (Mungite soils), which has improved water and nutrient retention. 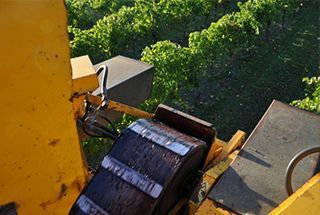 Our belief is that proper site preparation is integral to ensuring we consistently produce high quality grapes, and that constant upgrades and improvements keep us competitive in the viticulture industry. Our local team of farmhands diligently maintain the property and are readily available to ensure everything is running smoothly. Living in such an abundantly rich area for viticulture and winemaking practices enables Celestial Bay to provide a wide variety of local wines to the national and international market. Our full bodied Cabernet Sauvignon is typically grown on north facing slopes in Forest Grove soil, along with our fresh and mid-weighted Shiraz and softer Petit Verdot. Our dark and lush Merlot is preferable to the Mungite soil, with our Malbec and Sauvignon Blanc being planted on the highest flat grounds of the vineyard. We also boast a cool and crisp Chardonnay and intense Semillon from both old and new vines. Our vines are planted in a site that best matches specific growth habits and drip irrigated through the process of regulated deficit irrigation, or (RDI). The soil is kept moist until fruit set and then allowed to dry out until shoot growth stops or veraison (colour change) occurs. Water is then applied until approximately a week before harvest. After harvest, irrigation again commences, as needed based on soil moisture, until leaf fall, ensuring the plants secure enough carbohydrate stores in root structure to support initial green growth in spring. Water requirements are gauged using gypsum blocks, vine appearance, soil feel and pan evaporation records. Our vineyard canopy is trained using a Vertical Shoot Positioning (VSP) system. Both cane and spur pruning techniques are used dependent on variety. Fruit and shoot thinning and canopy thinning are applied as required to achieve a balance of fruit to vegetative growth. Our vineyard also uses the minimal amount of agrochemicals as practical for a property this size and adheres to Australian Wine Research Institute guidelines. Soil is an important resource and soil care is integral to our vineyard management philosophy. Mid-row cultivation is minimal; a permanent sward is grown, using a mixture of clover, and perennial ryegrass. Nutrient replacement is also undertaking by the distribution of specific minerals and the application of organic supplements. 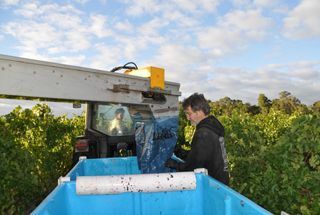 In General, the Margaret River local wine making climate is suitable for viticulture and require very little input relative to most wine regions in Australia.